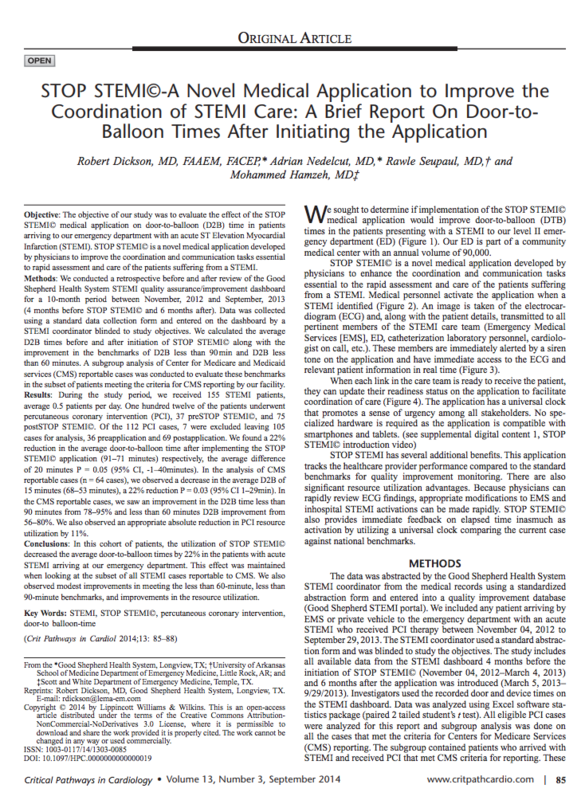 In this cohort of patients, the utilization of Pulsara decreased the average door-to-balloon times by 22% in the patients with acute STEMI arriving at the emergency department. This effect was maintained when looking at the subset of all STEMI cases reportable to CMS. Researchers also observed modest improvements in meeting the less than 60-minute, less than 90-minute benchmarks, and improvements in the resource utilization. Questions? Just fill out the form and we will be in touch!